About two years ago during his final year at Hangzhou Normal University, Mao Buyi began a nursing internship at a hospital in Hangzhou, capital of Zhejiang province. His main task was to clean wounds, monitor patients' conditions and progress, communicate with them and offer comforting words. However, he found the job stressful, and to ease the pressure he took to playing the guitar and writing songs in his dormitory after eight-hour shifts at the hospital. Last year, the 24-year-old rose to fame after being crowned champion in the first season of the 15-episode reality show The Coming One, produced and broadcast by Tencent Video, a streaming platform owned by internet giant Tencent. Each episode attracted about 300 million online views. One of his original songs, Drink Sorrow Down, which he wrote during his internship, became one of the biggest hits of 2017. 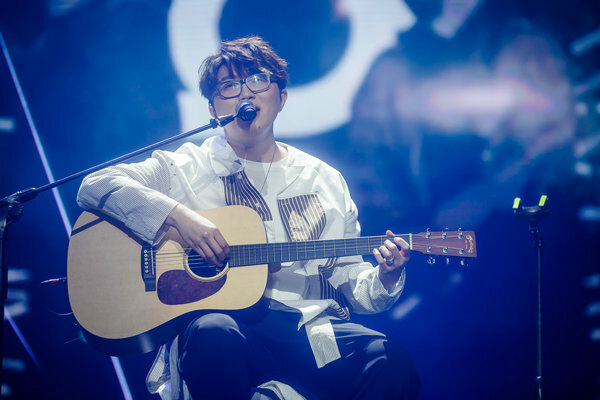 In May, Mao released his debut album, Perfect Day, which notched up sales of 1 million in just nine hours, according to NetEase Cloud Music, an online music streaming platform operated by internet technology company NetEase. Fans are attracted to Mao's poetic lyrics and melancholy melodies. The number of followers on his Sina Weibo account has reached nearly 120 million. 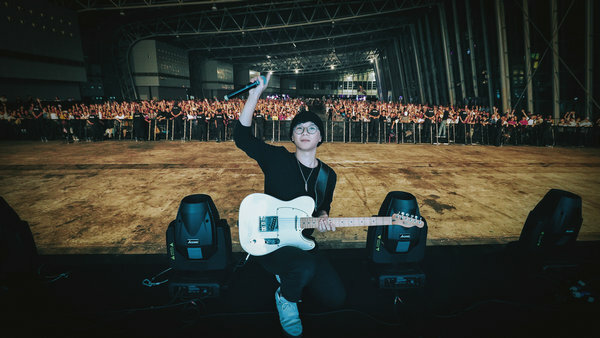 From Sept 22 to Nov 17, he launched his first tour, making stops in Shanghai, Beijing and Chengdu, Sichuan province, with nearly 300,000 seeing him at the three locations. Mao, whose real name is Wang Weijia, was born in Tailai county, Qiqihar, Heilongjiang province. "Songwriting is fun to do, but I never expected my songs to make money. They are very personal, just like diaries," he said. His rise to stardom has also thrown the spotlight on China's younger generation of original singer-songwriters. Their diversity of musical styles has become increasingly popular among young people in urban areas. When Liu Xinran, an independent musician in Beijing, started to take her musical ambitions seriously, she posted her original works online. Liu, 20, who is studying acting at the Central Academy of Drama in Beijing, received an overwhelming response. From March to December, she released five original songs and versions of popular hits, enabling her to build a fan base of more than 36,000 on her NetEase Cloud Music channel. Her music videos have received more than 10 million views on the platform. This year, she has toured three cities to perform her songs, including How The Steel Was Tempered. The shows attracted nearly 1,000 fans. "I write songs about my life, such as the failure when I first applied to university, and my school life now. I didn't expect so many people to share my feelings," said Liu, who was born in Nanjing, capital of Jiangsu province. "I never formally learned composition. I started by writing lyrics, and revised my first few songs repeatedly before releasing them online. I was very nervous about the feedback from listeners," she said. The singer-songwriter said her grandparents, who are music lovers, introduced her to music when she was very young. The first few songs she learned as a child were the pop hits of singer Tsai Chin, which she was taught by her grandparents. Liu learned to play piano when she was 4, and later bass guitar when she founded her own band in high school. "Music, whatever the genre, is free. I can talk about my life, what I am thinking about," Liu said, adding that she is a big fan of the singer Ariana Grande from the United States. She has listened to all of Grande's songs and enjoys her live performances. "My grandparents now listen to my songs online and play them at my home in Nanjing. It's like a dream come true," she said. Like Liu, many other young musicians, such as singer-songwriter Mu Xiaoya, who works from Nanjing, and The Landlord's Cat, a Chinese indie folk duo formed by university friends in Wuhan, capital of Hubei province, are also garnering their own fan bases online and becoming some of the most popular acts playing live house venues and outdoor music festivals nationwide. 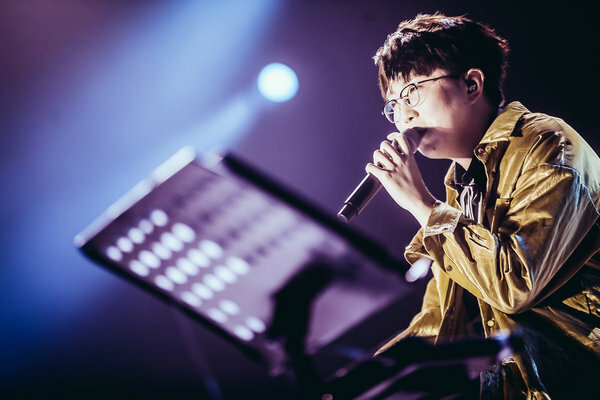 Yang Hui, general manager of the original music department at Net-Ease Cloud Music, said the online music platform, which has more than 600 million registered users, has been giving exposure to original Chinese singer-songwriters since 2013. Over 70,000 singer-songwriters had joined NetEase Cloud Music as of September, making it the biggest platform for them in China. 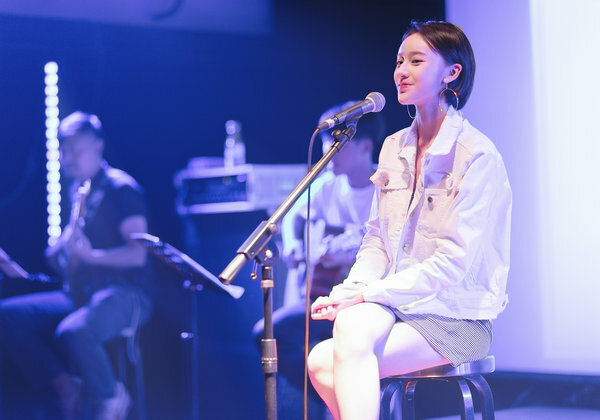 "We have a series of plans to support the budding careers of independent musicians, from collecting original material online to featuring the singer-songwriters in our live music shows," said Yang, who launched her own band as a student and who has adopted the stage name Pink. "Our goal is to generate a fresh supply of high-quality musical content for the platform," she added. Yang said the music industry is experiencing "great changes". For decades, record companies were the industry's main driving force. Budding singer-songwriters sent demo tapes to the companies, who selected and signed artists, met the high cost of renting studios, producing albums, marketing, and were responsible for pushing album sales. 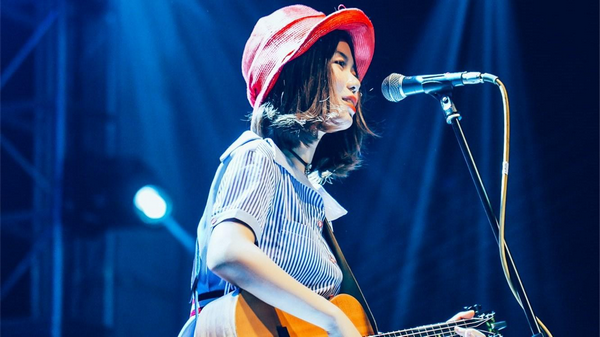 However, with recording moving into the digital era, and with physical records being replaced by digital distribution on the internet, the relationship between the mushrooming younger generation of Chinese original singer-songwriters and music labels has changed. Online platforms are starting to play a vital role in capturing the country's vibrant music scene. Rave Now, a new reality show launched by Tencent Video on Dec 1, has put electronic music in the mainstream spotlight by showcasing a growing number of artists. Alan Walker, a 21-year-old Norwegian-British producer, opened the show with his 2015 breakout single Faded, and the first episode received more than 140 million views online. Musician Guo Qu, who trained to be a geodetic engineer at Wuhan University, was one of the contestants. The self-taught guitarist decided to become a musician and furthered his study at Berklee College of Music in the US city of Boston by studying a music production and engineering major. He returned to China in 2016 and started to release electronic music tracks online under the name of Panta. Q. He was one of the so-called bedroom producers, which refers to indie musicians making music in their bedrooms. Guo, who was born in Changsha, Hunan province, and who has more than 10 original tracks to his name, said: "As computer technology has become more accessible and music software has advanced, I only need a laptop to make a song and distributed it online. I don't make music with the aim of it being the next big hit. I just want this to be 100 percent about the music I like." Other platforms have also announced projects to nurture talented young musicians, including Alibaba-owned Xiami Music, which has run two seasons of The Undiscovered contests for indie artists, and The Force, a new contest which is part of the Tencent Musician Program, a project launched by Tencent Music Entertainment Group for aspiring Chinese musicians. On Dec 14, Modern Sky, an indie music label in Beijing founded by former rock singer-songwriter Shen Lihui in 1997, released the album Young Blood, which includes songs from 10 young Chinese bands. In its second year, the Young Blood project chose 10 winners from more than 1,000 bands in six cities, who posted their original material online early this year. Paul Yan, a well-known music producer from Taiwan, said: "It's always exciting to see young Chinese musicians and listen to their original sounds. For decades, the country has been full of creative young musicians. What makes the younger generation unique is that it keeps up with the world's latest technology and newest musical trends. With the internet, it knows how to deliver music, interact with the fans and manage itself." Yan produced rock group Tang Dynasty's album A Dream Return to Tang Dynasty in 1992 and rock singer-songwriter Dou Wei's album Yan Yang Tian in 1995. He is a judge for the 2018 Original Band Contest, co-organized by Rock Records in Taiwan and music technology company Xiami, which was held at the Tango Club in Beijing on Nov 10. The contest was won by the four-piece band Jiulian Zhen Ren from Lianping county, Guangdong province. The band performed two of its original songs in the Hakka dialect and won the chance to record its own numbers with Rock Records, collaborating with veteran producers and promoters in a contract worth 1 million yuan ($144,790). According to a report from the 2018 China Music Industry Forum, which was jointly organized by the State Administration of Press, Publication, Radio, Film and Television, Communication University of China and the Music Industry Promotion Committee, statistics show that the industry in China has developed dramatically amid the changing ways in which people listen to music and how they pay for it. Released in Beijing on Dec 19, the report said the value of the country's digital music industry last year was more than 58 billion yuan, a year-on-year rise of 9.6 percent, and there were more than 520 million digital music users in China. The income of the Music Copyright Society of China was more than 816 million yuan last year, up by 17.2 percent year-on-year. The value of the country's music performance market reached 17.6 billion yuan last year, when more than 15,000 live shows were staged, attracting audiences of more than 13.4 million and a box office of nearly 6 billion yuan, a year-on-year rise of 23.4 percent. The report also highlights developments in the music industry, including the streaming company Tencent Music Entertainment Group's initial public offering in the US on Dec 12. A government policy supports music as a form of cultural production. Zhao Zhian, vice-president of the School of Music and Recording Arts at Communication University of China, said a National Copyright Administration notice issued in 2015 stipulates that online music delivery platforms must remove all unauthorized songs. This has been seen as a major move in the fight against rampant piracy in the industry. Veteran singer-songwriter Ding Wei said at the release of the 2018 China Music Industry Report in Beijing on Dec 19: "Audiences can now access a much wider range of musical genres and works. They're searching for diversity and new blood. The market is becoming more demanding, and we are seeing many new faces appearing. They may attract some attention thanks to one or two popular songs, but for them to be remembered, they have to constantly produce high-quality music."